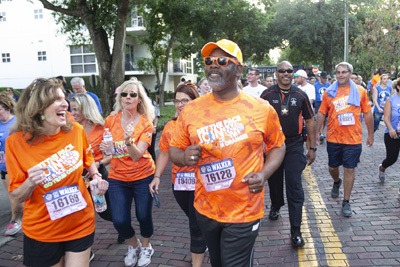 Staying healthy, in principle, is fairly easily particularly if you enjoy running or walking. All you need is a good-fitting pair of shoes, shorts and a comfy t-shirt, right? That’s true to a point but the reality is we do need additional support from the people around us. Spouses and friends that understand an early morning run or that need to put dinner on hold for 30 minutes to accommodate a gym workout. And how about in the workplace where eating out and unhealthy food offerings are the exception and not the norm? 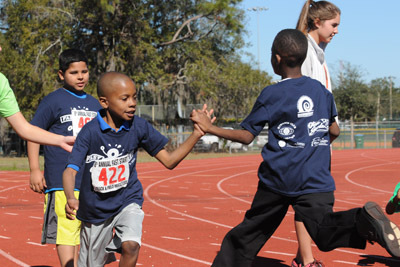 We’re lucky here in Central Florida to have community partners who are dedicated to keeping runners and walkers fit, injury-free and enjoying an active lifestyle. 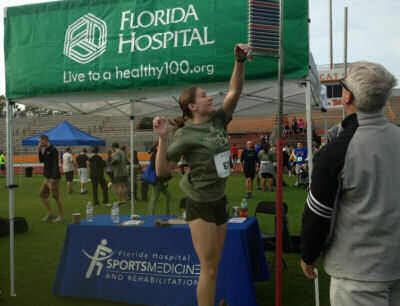 Through our Healthy Living Series or at any given Track Shack race you’ll find a team of Florida Hospital professionals conducting fitness assessments to give you measuring stick to chart your progress all season long. There's always doctor or a Physical Therapist on site to answer any questions. Get to know Hunter Vision. Their friendly staff has a cup of coffee or icy treat at most all Track Shack races. Plus you’ll find the service to be just as good at their office! In addition to 3D LASIK, they have added cataract surgery and general eye care to simplify your eye care needs. What activity would you be more likely to do if you didn't have to deal with glasses, sunglasses, contacts or that reoccurring eye issue? 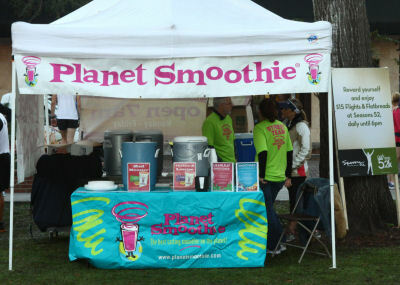 Planet Smoothie is there with the ever-popular ice-cold post-race reward. And when you pop into one of their stores you can find a healthy option served quickly and with a smile, especially if you tell them you enjoy their smoothies after a race! 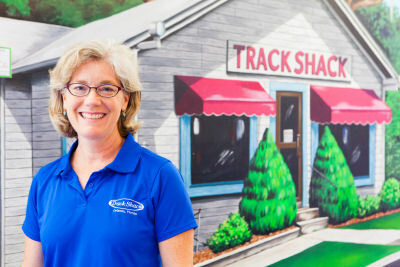 We're here for our customers at Track Shack, on the web or at the races to talk about your running and walking needs. Together with our partners, we're all looking forward to a great season!